As a boy, he saw his preacher father murdered. As a soldier, he witnessed the horrors of the Civil War. Now bounty hunter James Conners (Justin Ament) has returned to the town of Legend, New Mexico to capture the psychotic land baron (Angus Macfadyen of BRAVEHEART and the SAW series) who destroyed his childhood and marry the beautiful girl (Marnie Alton) he left behind. But when Conners is ambushed and left for dead, he discovers a Native American world where justice has no name and vengeance rides in the shadows. 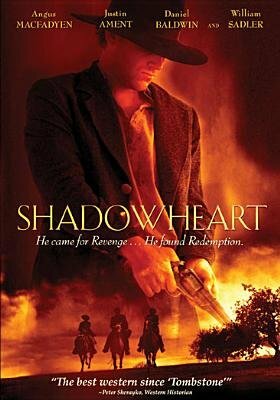 Daniel Baldwin (HOMICIDE: LIFE ON THE STREET), Michael Spears (DANCES WITH WOLVES), Tonantzin Carmelo (INTO THE WEST) and William Sadler (THE SHAWSHANK REDEMPTION) co-star in this epic western about revenge, redemption and the man the Navajo called SHADOWHEART.